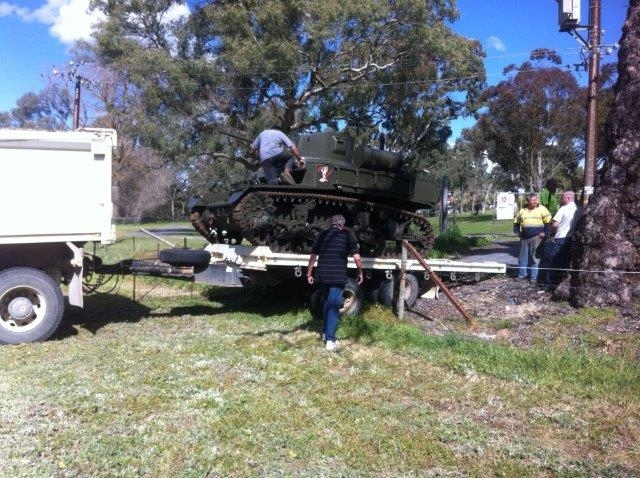 UPDATE: Due to transmission issues in the Birdwood area, the proposed news cross has been cancelled. 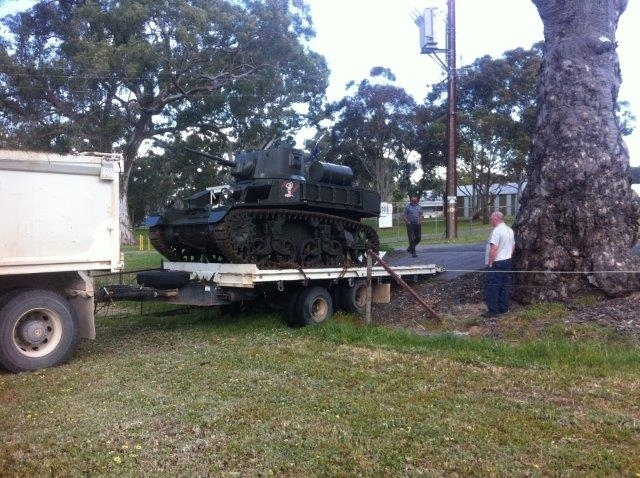 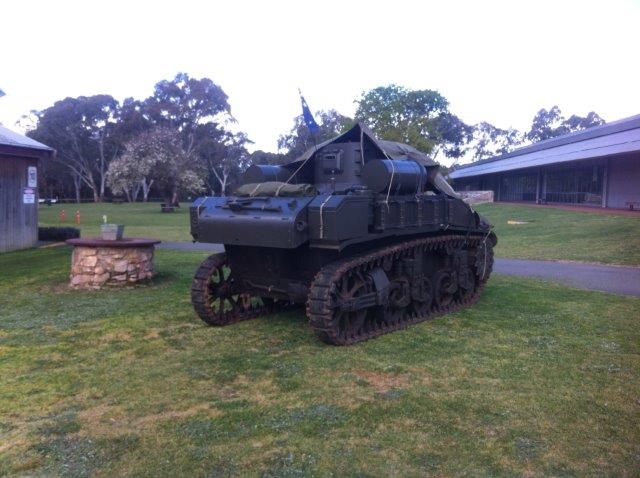 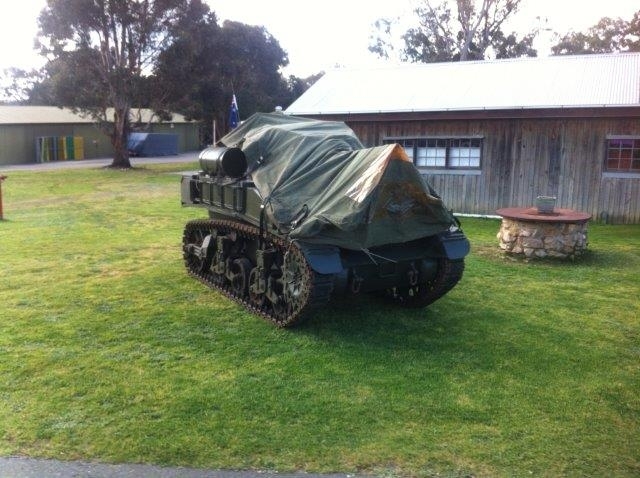 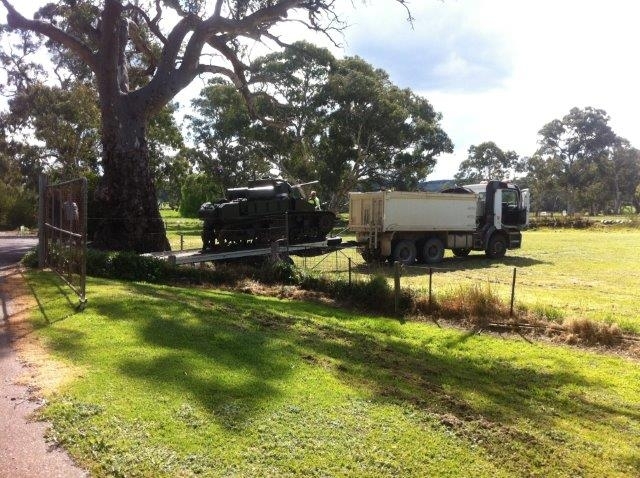 Today Miss Stuart, our M3A1 Stuart Tank, made the trip to the National Motor Museum in Birdwood, in order to be featured in a news cross tomorrow and to put on a display at Sunday’s Bay to Birdwood Run event. 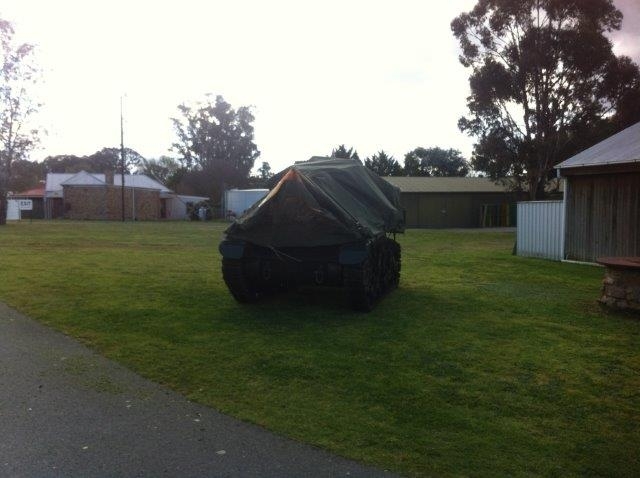 It should be a great day out and we have a considerable number of vehicles attending. 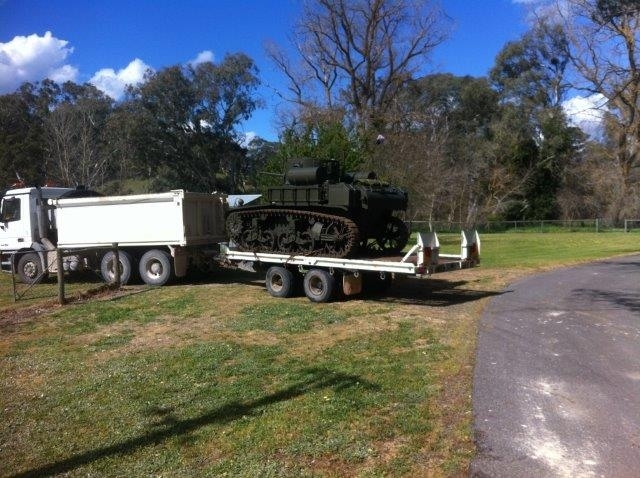 Many thanks to everyone that assisted with the move.